Hi everyone and welcome. 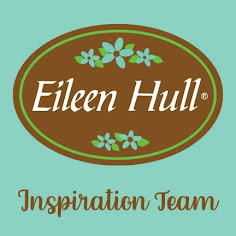 As Eileen Hull's Inspiration Team welcome in Spring we have been sharing lots of new projects to showcase some of the possibilities for using them. 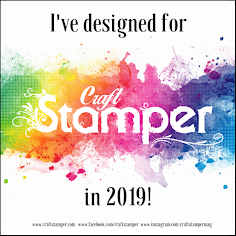 Make sure to check them all out on Eileen's website HERE. For my project this month I created a pair of earrings and matching gift box using Eileen's new 'Stacking Drawers' Scoreboards XL Die and the previously released 'Journaling Cards, Flowers & Leaves' Thinlits Die Set. If you enjoy creating and giving or selling your own jewellery Eileen's Stacking Drawers Die provides the perfect option for packaging them in a bespoke way. I had a small piece of Gel Plate printed paper left over from another project which fit the bill for decorating this drawer once it had been cut from mountboard using the die.. The reverse and edges were coloured with Eileen's Colorbox Blends 'Bay' ink and drops of Wendy Vecchi 'Carnation Red' Enamel Accents were added for an extra pop of colour. Some of you may remember that I previously created a pair of earrings using Eileen's dies back in August 2017; the tutorial for those can be found HERE. 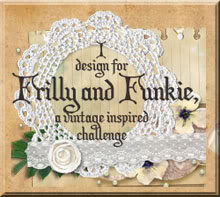 This pair were done in a similar way using Sizzix Paper Leather as it is lightweight yet durable. This time I used a flower and leaves from Eileen's 'Journaling Cards, Flowers & Leaves' die set because they produce smaller sized pieces which are ideal for jewellery. The die cut pieces were coloured using more of Eileen's Colorbox Blends ('Bay', 'Leaf' and 'Frog') with detail drawn on using a Sakura Gelly Roll pen and more Enamel Accents added to the centres of the flowers. The white semi-precious stone beads and silver findings came from my stash. To coordinate the gift box perfectly with the completed earrings more flowers and leaves were added to the top of the box with some tiny white flowers introduced for a final flourish. It would be easy to add a little gift tag for the recipient at this stage.